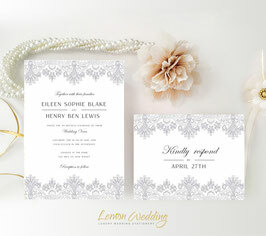 A wedding is a special event you want to share with love ones and friend, so let them know they’re invited with our Silver Lace Wedding Invitations. 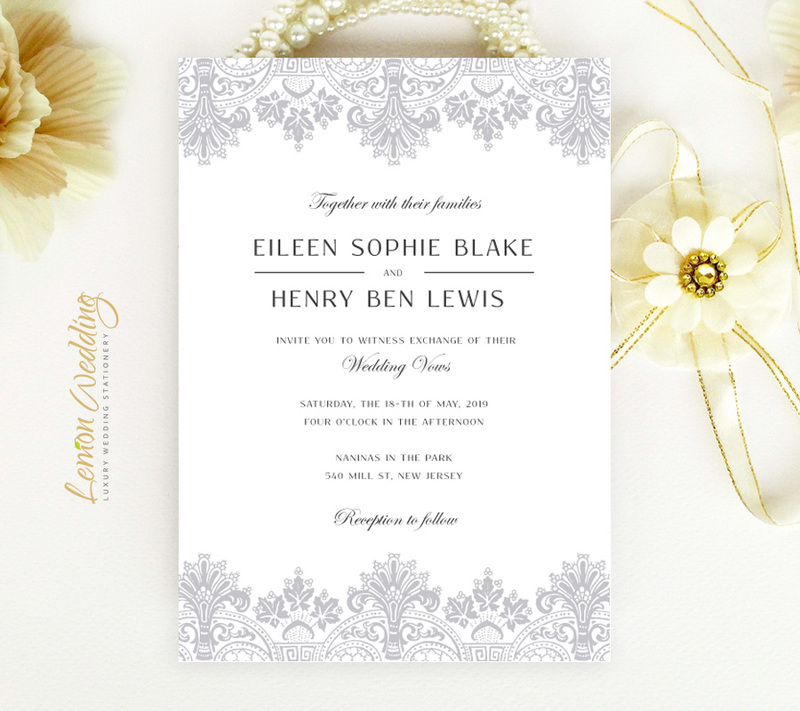 Our delicate lace inspired invitations will beautifully announce your upcoming wedding ceremony all while matching it perfectly. 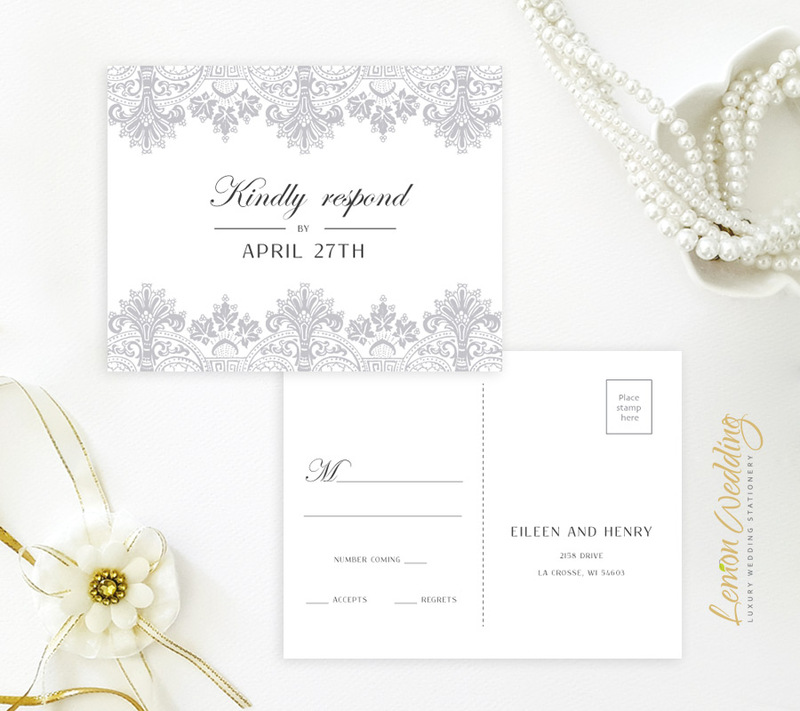 This invitation set includes wedding invites and R.S.V.P cards printed on premium paper finished with elegant calligraphy.